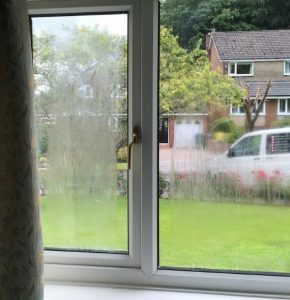 Welcome to Misted Windows Gatley. 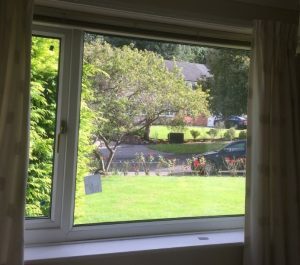 This picture, clearly demonstrates how good your windows can look again! 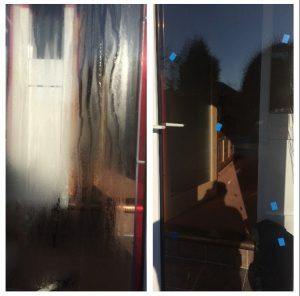 The picture on the left, is a failed, misted up double glazed unit. The picture on the right is the same door, see the difference.